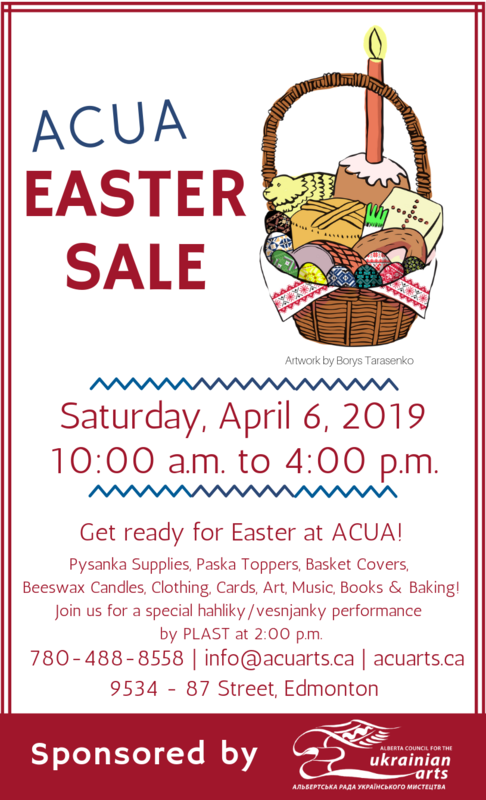 Get ready for Easter at ACUA! Pysanka Supplies, Paska Toppers, Basket Covers, Beeswax Candles, Clothing, Cards, Art, Music, Books & Baking! Join us for a special hahliky/vesnjanky performance by PLAST at 2:00 p.m.